Democrat Diane Mitsch Bush on Wednesday pounced on Tuesday’s apparent special-election win by Democrat Conor Lamb in the former Trump-Country stronghold of western Pennsylvania as evidence Republic U.S. Rep. Scott Tipton is vulnerable in Colorado’s largely conservative 3rd Congressional District. Colorado’s 3rd District, which stretches from Pueblo on the Front Range to Grand Junction near the Utah border, has been won by Tipton by 20, 12 and most recently 14 points since he first swept away Blue Dog Democrat John Salazar in an anti-Obama Tea Party wave in 2010. The district includes the vast majority of the mostly rural and conservative Western Slope. Mitsch Bush, a former Routt County commissioner and state representative for Eagle and Routt counties, is seeking the Democratic nomination to take on Tipton in November. 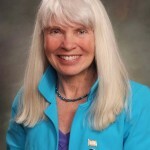 She cites her bipartisan problem-solving in a rural ranching and energy-producing county such as Routt as evidence she’s in touch with what Western Slope residents expect to see happen in Washington. “The GOP’s agenda is failing. The tax bill is unpopular. Their stance on immigration is unpopular. Their disregard for our environment is unpopular. Voters are done with the greed, the incompetence, and the corruption,” Mitsch Bush wrote in her email blast. 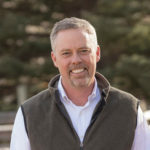 Mitsch Bush is being challenged for the Democratic nomination by water and municipal attorney Karl Hanlon of Carbondale, and local Dems will take their first CD3 preference poll on the race Saturday at the Eagle County Democratic Party Assembly from 9 a.m. to noon at Battle Mountain High School in Edwards. Everyone selected as a delegate at the Eagle County Caucus on March 6 is expected to attend. A lot of Democrats will likely be wondering what kind of candidate it will take to unseat Tipton. Lamb won by disavowing any ties to the DNC and House Minority Leader Nancy Pelosi, but neither Mitsch Bush nor Hanlon has gone that route yet. Lamb also took a more conservative tack on issues like gun control, which would no doubt resonate with many Western Slope voters. On Wednesday, Hanlon posted his solidarity with student protestors walking out of schools to remember the victims of the Parkland shooting and calling for more restrictive gun laws. Mitsch Bush has also spoken out forcefully for reforms to combat gun violence, while Tipton has stayed largely silent on the issue since the Parkland massacre killed 17 students and teachers in Florida on Valentine’s Day. Wednesday, Tipton did tweet out his support for the Stop School Violence Act, which would provide millions of dollars in federal grants aimed at threat detection and improving school security. Democrats and some Republicans would like to see much more done on the topic of gun control, including universal background checks and raising the age limit for purchasing semiautomatic military-style assault weapons. Both Mitsch Bush and Hanlon have tried to paint Tipton as a rubberstamp for Trump’s anti-healthcare, pro-tax-reform agenda and a friend of industry who’s willing to cut corners on environmental protections and public lands. They say he’s particularly vulnerable given how unpopular Trump is nationally, but especially in Colorado. But whether a true blue wave is in the offing – one that will cascade all the way over onto Colorado’s Western Slope – remains to be seen. In 2016, former state Sen. Gail Schwartz thought she might ride an anti-Trump wave into office in CD3 – only to find it was more of anti-Hillary tsunami that returned Tipton to power and improbably gave Trump the White House. Another factor could be the rising popularity of female candidates in the midst of the #MeToo and #StandUp movements. Former Colorado Treasurer Cary Kennedy reeled off a somewhat surprising Caucus preference poll victory on March 6, and now appears to be the Democratic frontrunner to replace outgoing Gov. John Hickenlooper in Colorado.